1) @discoursedesign, you win the Instyle Book and Red Peek for spreading the word about Alt on Twitter. 2) Katherine Gray, you win the Peter Walsh In-Place System and Book because you're an Alt Facebook Fan. 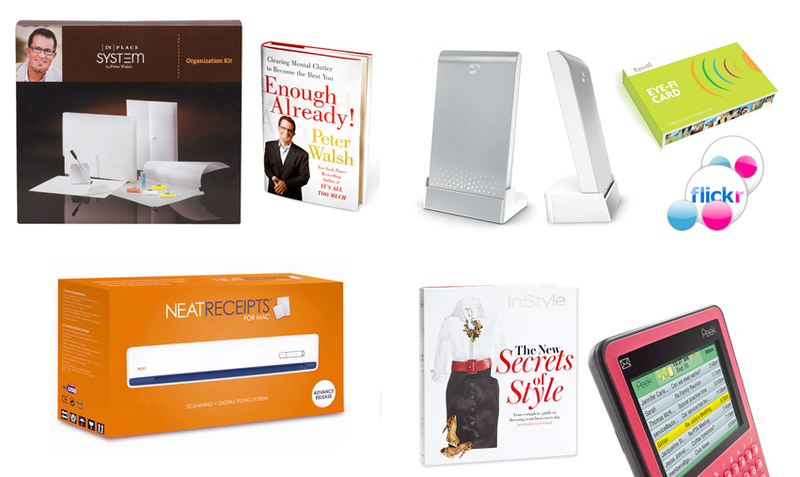 3) Annie May, you win the Neat Receipts Scanner for posting about Alt on your blog. 4) Melissa Esplin, you win the Photo Package (the Free Agent storage device, the Eye-fi card and the subscription to Flickr) for spreading the word about Alt everywhere!